There are tiaras, and then there are tiaras like the Londonderry Diamond Tiara. This piece dates to the middle of the nineteenth century; it was a part of a diamond parure made for the family in 1854 by Garrard, although the tiara itself was not originally an all-diamond piece. The center of each element was originally designed to hold a pearl, and the tiara could also be worn topped by tall pear-shaped pearls, increasing the height of the piece substantially. Rings, bracelets, and earrings galore this week. Don't forget to vote for your favorite! 10. Queen Silvia of Sweden gave us a glimpse of her rings on Wednesday as she attended the Nordic World Ski Championships in Falun. As we wrap up our look into the jewelry box of our Magpie of the Month, Crown Princess Mary of Denmark, it's only appropriate that we discuss the piece of jewelry that signaled her entry into the world of royalty: her engagement ring. Mary met her future husband -- and the future king of Denmark -- during the Sydney Olympics in 2000. Three years later, the couple officially announced their engagement. The ring that Crown Prince Frederik gave his future bride featured both diamonds and a colored stone: rubies. 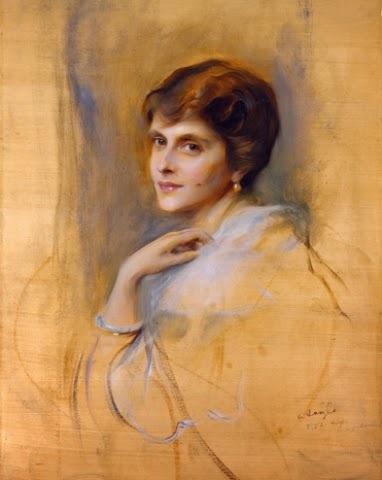 February 25 is the birthday of one of the most interesting princesses to have lived in the twentieth century: Alice of Battenberg, the great-granddaughter of Queen Victoria, the niece of Empress Alexandra and Grand Duchess Ella of Russia, the wife of Prince Andrew of Greece, the mother of the Duke of Edinburgh, the sister of Queen Louise of Sweden and Lord Louis Mountbatten, the mother-in-law of Queen Elizabeth II, and the grandmother of the Prince of Wales (among many others). Alice's life was dramatic, glamorous, tragic, tumultuous, and even heroic, and in between all of that, she managed to wear some interesting jewelry, too. To celebrate her birthday, here are some of my favorite photographs of the bejeweled princess. I may not be a February baby, but I am extremely partial to amethysts. Whether they're deep purple or another shade -- lately I'm quite attracted to the pale green variety -- they're always showstoppers. 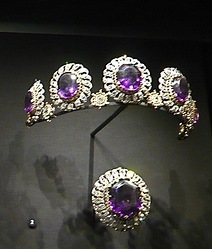 Today, we're looking at the amethyst set that belongs to the British royal family -- which also happens to be one of the oldest sets of jewelry in their entire collection. Appropriately for a stone often worn by those in mourning, the amethysts entered the family collection because of an unexpected death. Princess Charlotte of Wales, the only child of George IV, died in childbirth in 1817. Her death led to something of a succession crisis, with George IV's brothers hurrying to marry and father an heir to the throne. The winner of this "contest" was the Duke of Kent, who wed Princess Viktoria of Saxe-Coburg-Saalfeld in 1818. They were, of course, the parents of the future Queen Victoria. Hollywood's royalty took center stage last night at the 87th annual Academy Awards, and they brought some major sparkle to the party. Enjoy my picks for the top ten Oscar jewels of 2015 -- including one piece that has a royal connection! The Scandal star wore Fred Leighton's Pink Ombre Sapphire and Diamond Earrings. It's difficult to think of a modern royal who has a collection of brooches as vast as the one that belongs to Queen Elizabeth II. While some see these small baubles as old-fashioned relics of the past, Elizabeth continues to wear brooches as a part of her daily uniform. She uses them to remember special occasions, to recognize history, and to acknowledge contributions. The brooches might not be very big, but they pack a major symbolic punch. Today's brooch, the Dorset Bow Brooch, is one that has been in HM's jewelry box for nearly seven decades. In 1893, Princess Mary of Teck wed the Duke of York. (We know them better today as King George V and Queen Mary; the Queen knew them as her paternal grandparents.) The County of Dorset offered a wedding present to the new duchess: a brooch made of diamonds set in gold and silver, designed in the shape of an elaborate bow. The piece was made by Carrington in the same year that it was given. 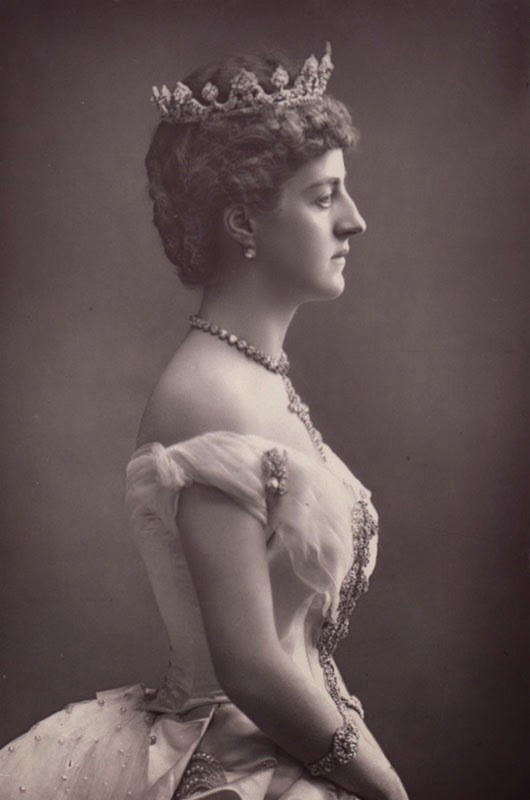 You can see Mary wearing the brooch in the photo above, taken in 1897 at the Devonshire House Ball; the brooch is pinned at her waist. It’s something of a Scandinavian tradition for royal princesses to receive tiaras as an eighteenth birthday present. Crown Princess Victoria and Princess Madeleine of Sweden each received one, as did each of the three daughters of King Frederik IX of Denmark (Margrethe, Benedikte, and Anne-Marie). 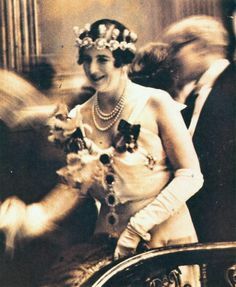 Even a future Scandinavian queen, Princess Maud of Wales, received an eighteenth-birthday tiara from her grandmother, Queen Victoria. (Bonus points if you can ID each of these tiaras in the comments!) Today, let’s look at the birthday tiara received by one of Maud’s descendants, Princess Märtha Louise of Norway. Märtha Louise is the only daughter of King Harald V and Queen Sonja of Norway, but when she turned eighteen in 1989, the monarch in Norway was her grandfather, King Olav V. He carried on the tradition started by his great-grandmother, Queen Victoria, by giving a tiara to Märtha Louise as an eighteenth birthday present. Olav (who — trivia fact — was born Prince Alexander of Denmark on the Sandringham estate in England), was much beloved; he also served as one of Märtha Louise's godparents. He died about a year and a half after bestowing this sparkler on his granddaughter. Brooches and earrings galore this week! Be sure to vote for your favorite pieces in the weekly poll! 10. The Duchess of Cambridge appeared yet again in a pair of earrings that has become a major favorite: her sapphire and diamond earrings, which coordinate especially well with her engagement ring. Can you identify the jewels worn by Princesses Beatrix and Irene of the Netherlands at a ball at the royal palace in Brussels in 1958? The Prince of Wales and the Duchess of Cornwall attended the royal film premiere of The Second Best Exotic Marigold Hotel in London last night, and Camilla used the occasion to premiere something else, too: a seriously sparkling new demi-parure of ruby and diamond jewelry. The new necklace is intricate and elaborate,with large pear-shaped rubies interspersed among the diamond motifs. To mark Crown Princess Mary's birthday in 2014, I did an extensive post on the history of the Connaught Sapphire Brooch, a major royal heirloom that Mary received from her mother-in-law after the birth of the heir to the throne, Prince Christian. I won't retread the entire history of the piece here -- you can visit the earlier post to learn about its chain of ownership, which begins with the Duchess of Connaught in 1879 -- but I thought I'd offer an updated selection of photos of our Magpie of the Month wearing the piece. Enjoy! From the London World -- The pearls of the Empress Augusta  were famous, but they are inferior to those now possessed by the Duke of Cumberland , which are the finest in Europe. These pearls and other jewels, the whole being worth about 160,000 pounds, were awarded to the late King George of Hanover  in 1857, after a dispute of twenty years, as they had been claimed by the Queen  on the death of William IV. Part of them were brought originally from Hanover and the remainder had been the private property of Queen Charlotte, who left them to her son, Ernst, Duke of Cumberland, afterward King of Hanover. Many of the grandest pieces of jewelry made their way into Queen Elizabeth II's collection thanks to her jewel-mad grandmother, Queen Mary. Today's earrings, the Gloucester pendants, are no exception, although their history can be traced back generations further than even Mary herself. The earrings were made at some point during the first half of the nineteenth century. Jewel historians like Sir Hugh Roberts don't pinpoint a particular maker, although it's generally agreed that they were made by an English jeweler. The earrings originally belonged to Princess Mary, Duchess of Gloucester and Edinburgh. She was one of the daughters of King George III, and also his last surviving child. She did not have any children herself, so when she died in 1857, she bequeathed the earrings to her niece, Princess Mary Adelaide of Cambridge. Plenty of sparkle to marvel at this week -- be sure to vote for your favorite in the poll! 10. The Duchess of Cambridge gave us a good glimpse of her sapphire and diamond earrings during a visit to Portsmouth on Thursday. "We women folk are accustomed (through ignorance, I suppose) to think and speak of Russia as a semi-barbarous country. It is in some respects, but in others it is the most splendid country -- with the exception of our own -- in the world, and St. Petersburg is the most interesting of all European cities. Through the introductions we brought with us, we have been enabled to obtain entree to the presence of royalty and see the interior of the finest of all the palaces. "It was a bitter cold day when we drove in a gorgeous sleigh to the Winter Palace -- which was like a fairy picture in the fading light without, and illumined within with the brilliancy of thousands of candles -- to attend a court reception. The effect of the light on the snow and upon the gay equipages of the numerous guests was indescribable. In today's precarious global economy, luxury purchases can be a bit dicey for royals. You don't want to look as if you're throwing money around -- and potentially disrespecting the serious hardships faced by others -- but you're also expected to maintain a certain sheen of glitter to help impress and influence those who can benefit your kingdom. When it comes to acquiring new jewels, the Danes have come up with an intriguing solution: the equivalent of long-term jewelry leases. 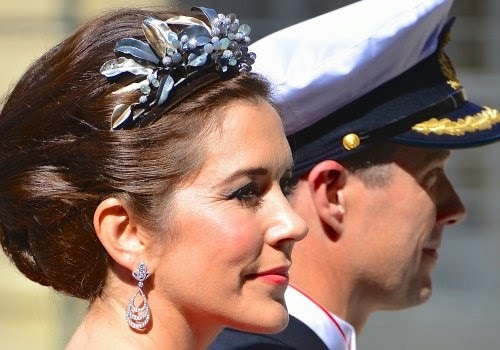 Today's peek into Crown Princess Mary's jewelry box looks at her loaner set: the Midnight Parure. In 2009, Danish jeweler Charlotte Lynggaard designed a modern set of three coordinating jewelry pieces -- a tiara, a pair of earrings, and a brooch -- made of diamonds, moonstones, silver, and gold. The set was created with Crown Princess Mary in mind, as the leaves and berries in the piece resemble the golden wattle, one of the national emblems of Australia. The set was constructed at the Ole Lynggaard workshop and then put on display to the public at the Amalienborg Palace Museum. Thirteen years ago on this day, Princess Margaret died in London. To remember her today, here's a list of my ten favorite pieces of her jewelry. Feel free to chime in with your favorites in the comments! Margaret wore these girandole earrings, which are made of rubies and diamonds set in silver and gold, throughout her lifetime. After her death, the earrings fetched nearly $100,000 at the Christie's auction of her jewelry and possessions. Time for another new feature here at The Court Jeweller! 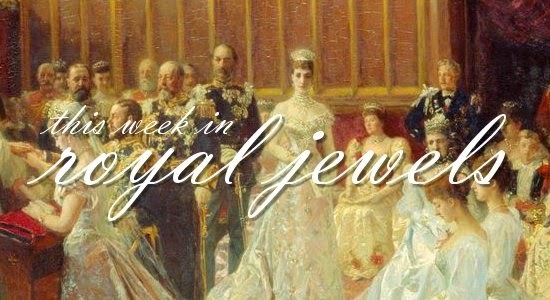 Along with occasionally bringing you Sunday news updates, we'll be delving into the extensive jewelry vaults of Buckingham Palace to marvel at pieces owned by Queen Elizabeth II. Today, we begin with one of my favorites: the King Faisal Diamond Necklace. Enjoy! In May 1967, King Faisal of Saudi Arabia traveled to the United Kingdom for a state visit. 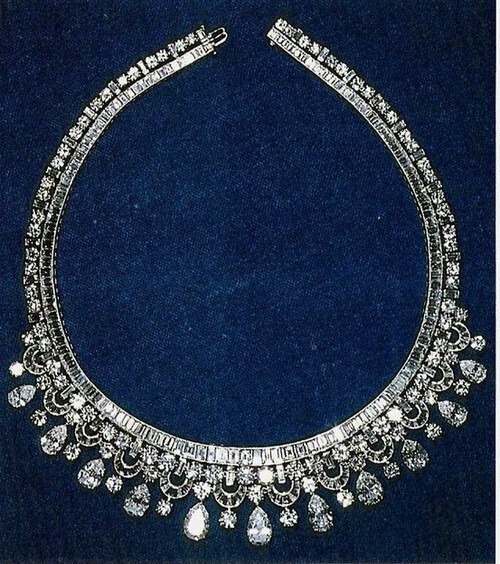 He brought with him a rather glittering gift for Queen Elizabeth II: a diamond necklace, made in the 1950s by Harry Winston. 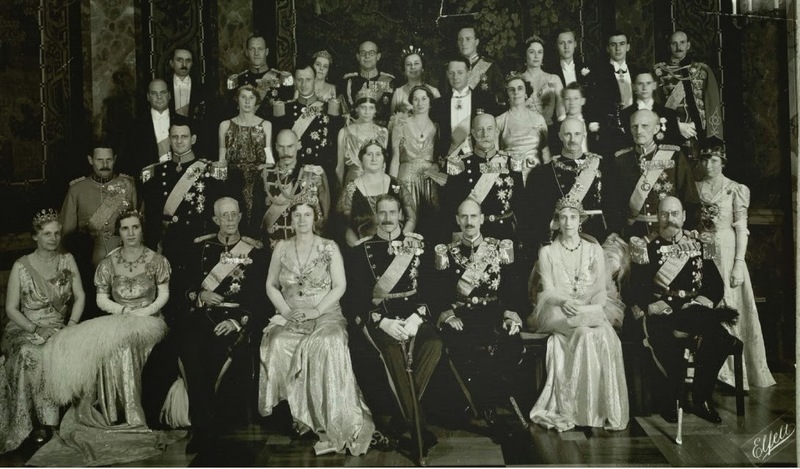 Even though the House of Savoy’s tenure as Italian monarchs was a relatively short-lived one — they ruled over the unified country for less than a century — the family still managed to amass quite the jewel collection. And while many pieces have been lost or sold since the family went into exile, today’s tiara, the impressive Musy tiara that belonged to Queen Margherita, has managed to stay in the Savoy collection. Brooches and earrings dominated the royal landscape this week. Be sure to vote for your favorite piece! 10. Princess Beatrix of the Netherlands selected gold jewelry for an equestrian event in Amsterdam on Friday. It's February, which means that it's time for a new Magpie of the Month! Crown Princess Mary, who celebrates her birthday today, is our royal lady for February. I'm pretty excited to delve into her jewelry box with all of you, and today, we're kicking things off with a look at her collection of aquamarine jewels. In 2004, shortly before her wedding, Mary Donaldson wore a demi-parure of aquamarine jewels during the Romanian state visit. The set includes a pair of earrings with a large aquamarine drop and a pearl choker with an aquamarine clasp. Can you identify the jewels worn here by Princess Diana in February 1992? The grandest tiara worn today by the Romanian royal ladies is the Greek key tiara that was originally owned by Grand Duchess Victoria Feodorovna of Russia. 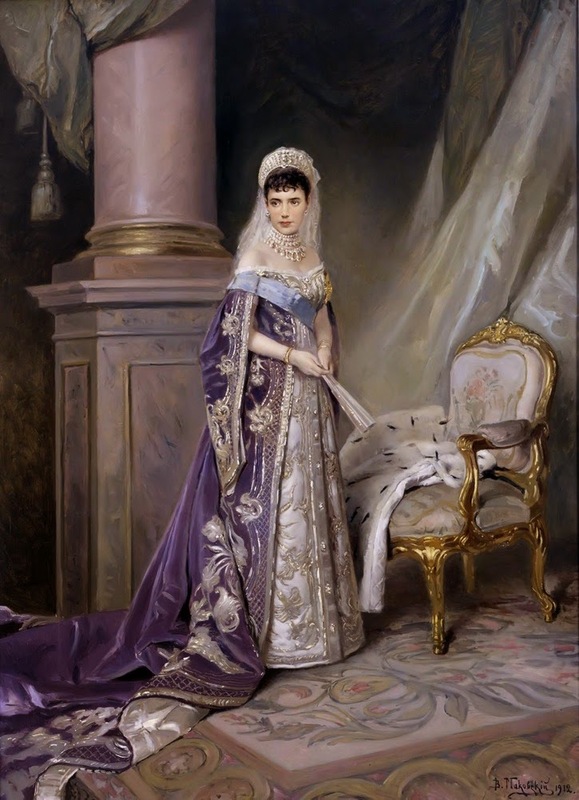 Victoria wore it as a kokoshnik with a velvet backing; today, Princess Margarita wears the tiara in a more traditional way. If you could make changes to this Romanov-era sparkler, how would you reinvent the piece? Queen Victoria, Emperor William, and the Prince of Wales will attend the wedding of Princess Victoria Melita of Coburg to the Grand Duke of Hesse , both of whom are grandchildren of Queen Victoria. The Grand Duke -- Ernest Louis Charles Albert William  -- is the only surviving son and the fourth child of the late Grand Duke by his wife, Princess Alice of Great Britain. He was born at Darmstadt on November 25, 1868, and was educated under the care of Privy Councillor Mather. In May 1885, he was gazetted to a sub-lieutenancy of the First Hessian Infantry Regiment No. 115. In December 1889, he obtained his grade as full Lieutenant, and was then sent successively to the Universities of Leipzig and Giessen to complete his education. He resumed his military studies in 1891, and, following in the footsteps of his father, was attached to the First Prussian Regiment of Foot Guards at Potsdam. He succeeded his father as Grand Duke in March 1892. He is a Chevalier of the Order of the Black Eagle and a Knight of the Garter .